So this time last year we were busily getting our old 40's cottage up to scratch and ready to sell! That was such hard work, so glad that is all over and done with! We sold it so fast, in only three and a half weeks, we were a little shocked and not quite prepared. 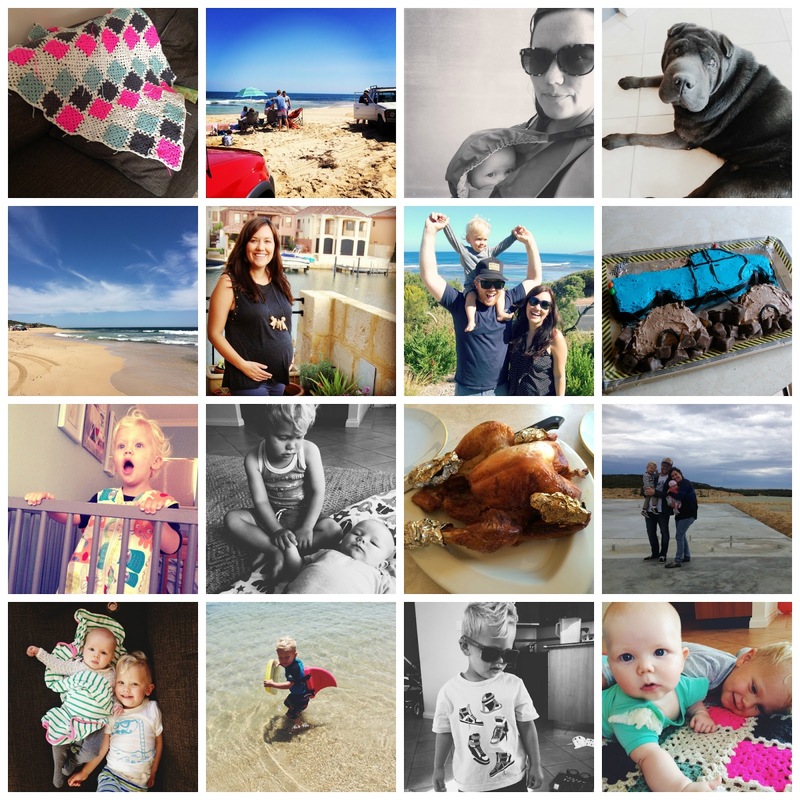 We went on our yearly holiday in January (where I got frustrated with inconsiderate people at caravan parks) and then came back for a few chaotic weeks of organisation and packing with a toddler before making our big move southish. It was even more challenging because I was in my first trimester! I was sooo freakin tired ALL the time! I hit the second semester with renewed energy (kind of), and excitement, and we found out we were having a GIRL! We moved in with my folks, which was so, so generous of them, and helped us save money for our house build, but came with its own challenges. Including the epic series of battles with Ezra and moving him from his cot into his bed, and then back to his cot again. And then, a couple of weeks later he decided all on his own that he wanted to go back to the bed, and has been there ever since!! What a journey! As great as it was having the support of my parents to help with the toddler whilst I was pregnant, being master of our own domain is something I really missed, and felt it was hard to settle in in our new town. Before all the chaos of selling and moving had even been a thought in our mind we had booked a holiday to visit my nephew for his 1st Birthday in March! I love that part of the country, and even though travelling with a toddler isn't always easy, it really was a great trip! Then shortly after Joel FINALLY became a real true, blue dinky die Australian citizen! YAY! No more worrying about Visa's and all the rest, it makes life a lot easier! (This is his hilarious take on the Aussie Citizenship test). We had our 9 Year wedding anniversary this year!! 9 YEARS!! WOWZERS, where does it even go!! This year was HUGE for me in the bloggy realm, I was so, so floored to find out I was one of the Voices of 2013 Finalists! I took full advantage of it and travelled over to Sydney for the masterclass and launch party at an uncomfortable 34 weeks pregnant, but I was sporting my favourite acid wash maternity jeans and my flight socks so I got to party in some new heels and not have to worry about those swollen feet! I met some amazing bloggers and new friends. I was so inspired and learnt some really great stuff! I took up crocheting this year, and it gave me something to do whilst in that lazy last few weeks of pregnancy mode where it is hard to move around too much. I made my very first baby blanket, a yellow and grey chevron blanket, which has had the most page views out of any post so far on my blog, and has gone a little viral on Pinterest, which has totally blown me away! Either way, I still love the blanket! After feeling overwhelmed and unglamourous at this stage of life, I wrote THIS post, about how other people's lives can seem so perfect from a distance! It is probably my favourite post of the year! I really, really hoped that bub would arrive early, but no, she had me waiting and again I went past 40 weeks without even a braxton hicks. Then finally at 3 days over, after doing absolutely EVERYTHING to try and make her come, including accidentally falling down the stairs on the day of her arrival, which I do not recommend because it scared the crap out of me, she made her appearance in record time! You can read all about that HERE. Our little Willow was perfect, and healthy!! Upon arrival back home I realised my first baby needed to grow up a little, with a little boy haircut, I finally let go of the baby curls and took him in for a new stylish do! Maybe it had something to do with him no longer being the baby of the family! He then turned TWO!! And instead of doing a party we made the choice to go to the zoo. HE LOVED IT, and Willow did a giant explosive poo which was totally awesome (NOT)! A few weeks later we moved out of my parents house, it was getting just a tad too crowded with our growing family, and the amount of stuff we had collected. It was actually sooo nice to have our own space again. And then our PAD was laid for our new house that we are building, FINALLY some progress! After that the house project sped along, everything has been going so fast, its hard to believe that our windows, doors and cabinets all went in this week! Being in our own place helped me settle into our new surroundings so much more, I really am feeling like this is home and I am absolutely loving the lifestyle, and being so close to the beach, it makes parenting a lot easier for me when I can just pop across the road and let Ez run crazy at the beach! He's become so confident with his SwimFin that he is swimming all the way out with us when it is calm he just swims around in the ocean, I am so, so impressed at his progress. Willow LOVES the ocean too, she will just hang out in the water for ages, splashing away into her own face! We started a fun little husband and wife podcast project! Which is really just us having a laugh and a chat in the microphone for 15 minutes! But its lots of fun! Ok well, WHAT a year! I'm sure I've missed so much stuff! I feel like this year has been a little bit of a blur, and that probably has a lot to do with having a baby and being crazy sleep deprived! This was a really fun post to write, and to reflect on this past year, so I thought, why not make it a link! So others can join in too and share their 2013 wrap up! So, if anyone else has done a 2013 wrap up post I'd love for you to link it up below! Just remember to link to the post URL and not your blog! 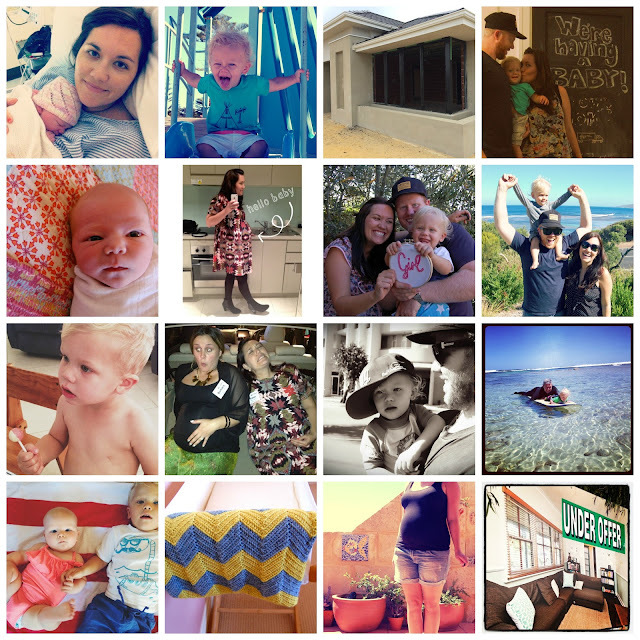 5 comments on "2013: It's a wrap (and linky)"
What an exhausting read! And a fantastic 2013. Thanks for hosting the linky. I wasn't going to link, because technically my 2013 wrap-up post isn't a 2013 wrap-up, but hey, I tried!